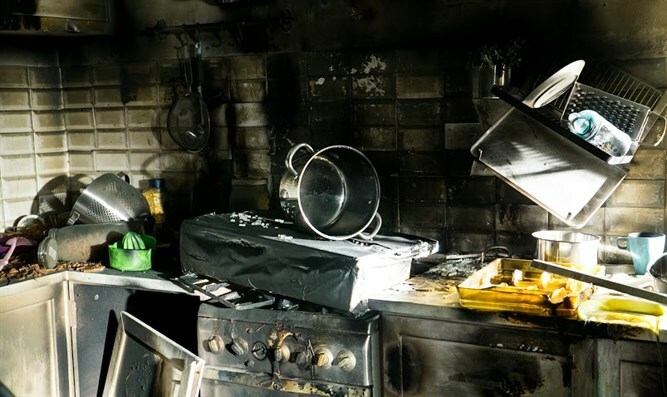 Energy Ministry warns against placing metal sheets on stoves, encourages families to prevent the next tragedy. Israel's Energy Ministry called on the public to prevent tragedies and not use a "blech" during the upcoming holidays. A "blech" is a sheet of metal placed over a stove, on which foods can be warmed on Shabbat (Sabbath) or holidays. "The use of this type of 'blech' is dangerous, and can cause immediate danger to life," the Energy Ministry said. "There is a risk of oxygen depletion, as well as of gas leaks caused by damage to the stove and gas pipes." The statement also noted that cooking and heating gas comprise one of Israel's chief energy sources, and that they are available and safe when used appropriately. "However, it is important to remember that these materials are considered dangerous. They should be used wisely and in keeping with safety guidelines, must be maintained properly. Proper use prevents home gas accidents and saves lives," the statement explained.